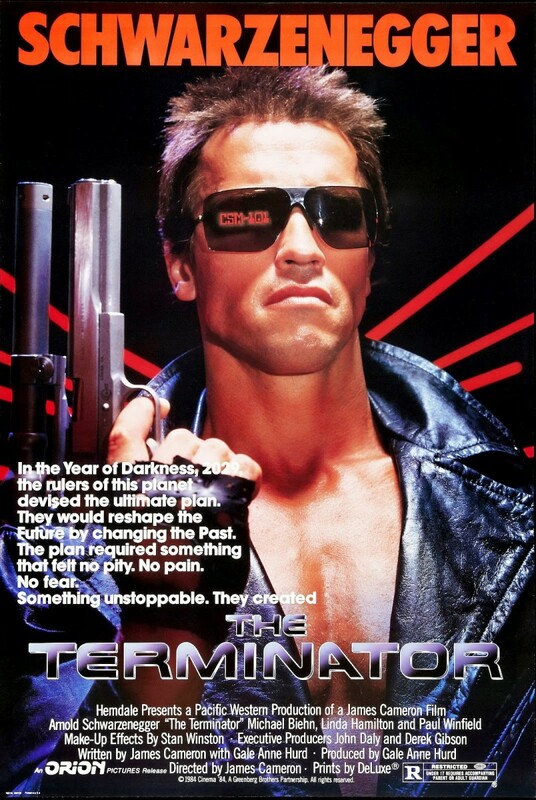 The Terminator is an action sci-fi film released in 1984 and is the first film in the Terminator franchise. 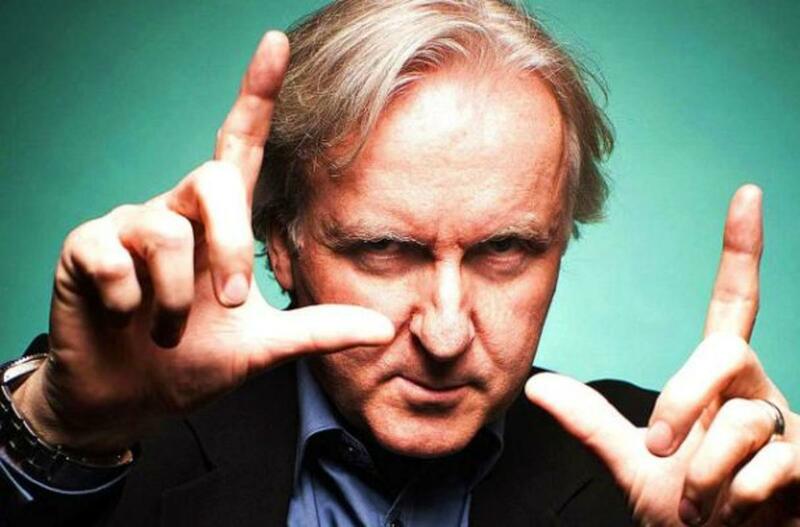 The film would launch both its star, Arnold Schwarzenegger, and its director James Cameron onto the Hollywood A-list. 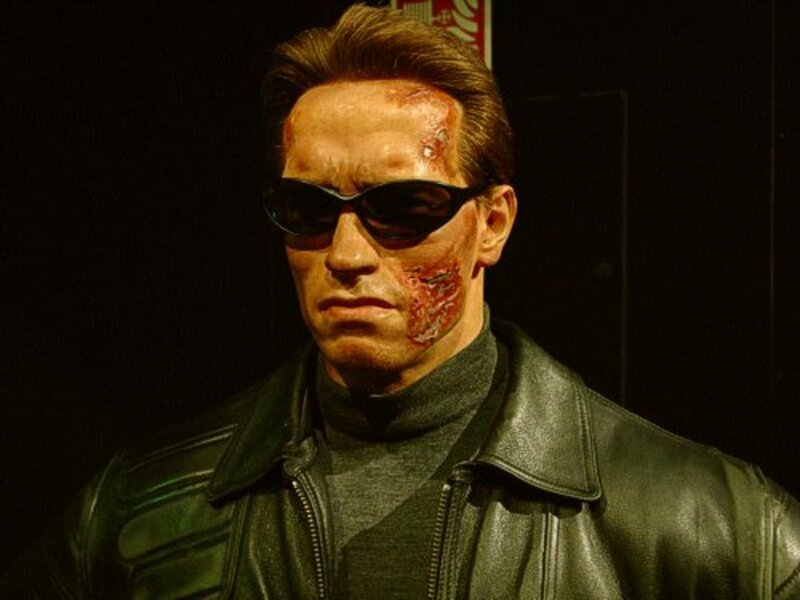 Schwarzenegger would find himself forever associated to the role of an unstoppable cyborg assassin for the rest of his career while Cameron would go on to have phenomenal success with two of cinema's highest earning films ever made, Titanic and Avatar. The movie was not expected to be a hit by distributors Orion who even limited the film to a single preview showing for critics, fearing negative reviews. 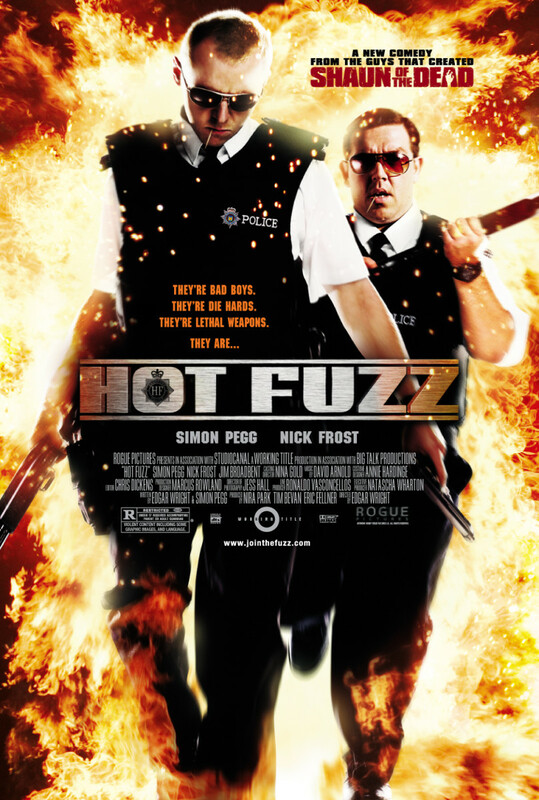 But the film became a surprise smash (making some $78 million against a budget of just $6.4 million) and as time has gone, its reputation has only increased - especially in light of later sequels that failed to match this film's standard. 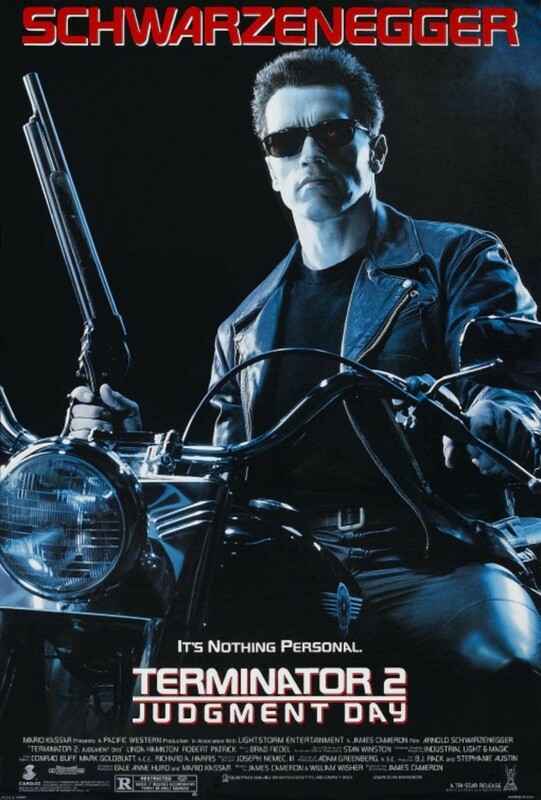 It would later be followed by Terminator 2:Judgment Day in 1991, one of the greatest action sci-fi films in history. It's the future where humankind is struggling to survive in a war against machines which have risen up and all but wiped us out. The human resistance, who are led by John Conner, are proving to be stubborn opponents so the machines hatch a plan to send one of their elite units, a Terminator T-800 cyborg assassin, back in time to 1984 to locate and kill John's mother Sarah to prevent his existence. Ignoring the obvious paradox (if John Conner is never born, why does the need to kill him exist in the future? ), John selects one of his men - Kyle Reece - to also travel back in time to protect Sarah from the Terminator. 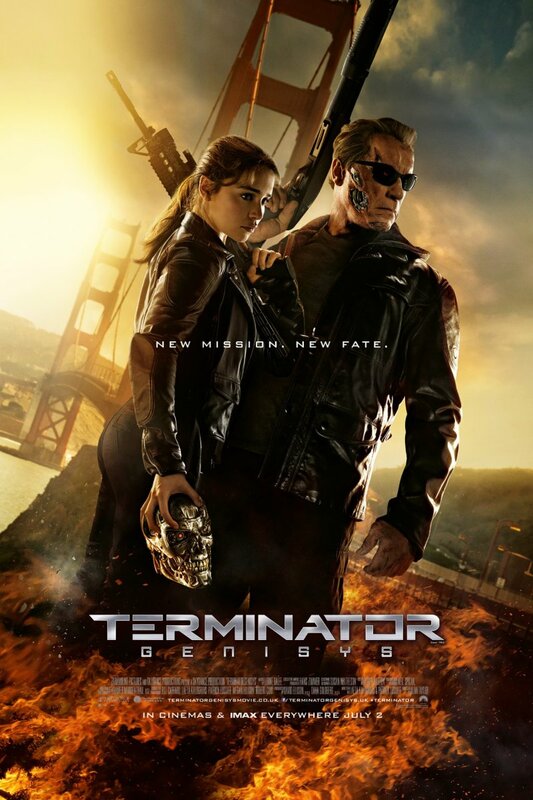 With brutal efficiency, the Terminator begins his search while Kyle struggles to convince Sarah of the danger she unknowingly finds herself in. Unable to trust the police who don't believe them and unable to stop the machine with our primitive 20th century technology and weapons, Sarah and Kyle are forced to go on the run as the Terminator gets ever closer to them and fulfilling its chilling mission objective. * additional dialogue by William Wisher Jr. 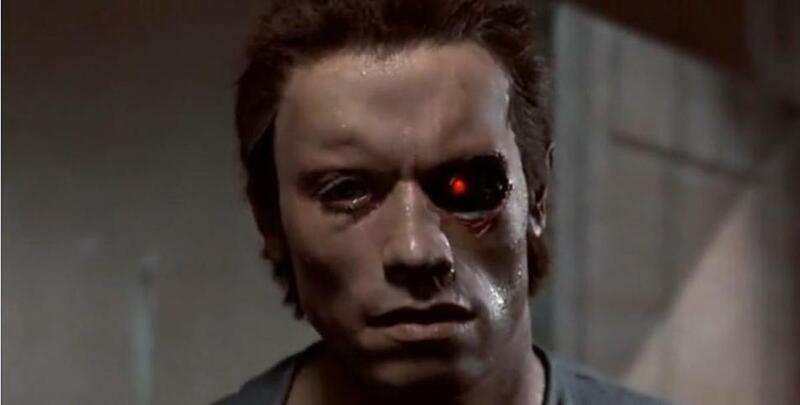 It's not hard to see why the role of the Terminator was perfect for Schwarzenegger and continues to haunt him today. As the relentless and largely silent killing machine, he makes an indelible impression in imposing leather jacket and sunglasses destroying all around him. He's so good that you might forget the efforts of Hamilton and Biehn opposite and in truth, neither really hold as much screen presence as Arnie. Hamilton actually does a pretty decent job as Sarah and you can see the evolution of her character from terrified waitress to reluctant heroine begin here (and obviously continue in Terminator 2: Judgment Day). Given the age of the picture, the special effects actually hold up fairly well and particularly the unforgettable sight of the Terminator robot itself emerging from flames with glowing red eyes. Some of the model work is a bit crude but generally speaking, it looks far better than its modest budget might suggest. The film moves along at a cracking pace and even takes a few moments to remind us of our future - the scenes where we see machines today benignly working for us contrast starkly with the scenes of them working violently against us, a sea of human skulls turned into dust by huge caterpillar tracks. The action may takes its time arriving but it's more than worth it when it does. One of the tracks on the official soundtrack - the song Intimacy - was co-written by Joe Dolce, the famous novelty one-hit wonder in the UK with Shaddup You Face in 1980. With a horrible irony, OJ Simpson was considered for the role of the Terminator but turned down because the producers feared he was too nice to play an ice-cold killer! Producer Gale Anne Hurd bought the initial draft to the movie from Cameron for the princely sum of $1. She and Cameron would marry the following year. Given the film's small cast, it is somewhat disappointing that a principal cast member lets the side down a little. Biehn is no stranger to these sort of violent hero-types but he can't seem to make his mind up whether he is on top of the situation or not. Schwarzenegger and Hamilton feel much more planted in their roles, which admittedly are more clearly defined than Biehn's. In the hands of a lesser director, The Terminator might have been a forgotten mid-80s shooter with a slight sci-fi twist. 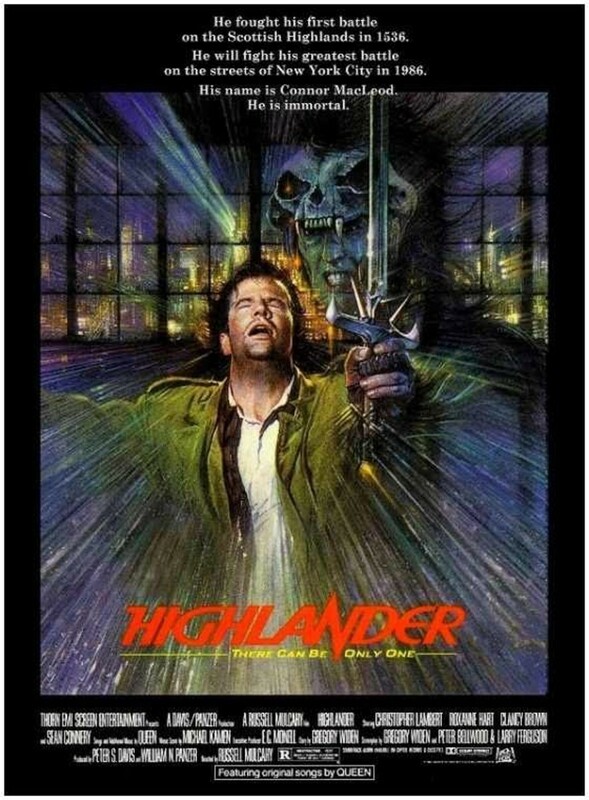 But Cameron's ideas and skill as a director were first evident here and he turns the film into a quality product with a genuinely terrifying performance from Schwarzenegger as the most famous cinematic robot in history. Ignore the temporal paradox and go with the flow - trust me, you'll be back! Is the Terminator really the most famous robot in cinema history? I'm sure RoboCop would have something to say about that or even Robbie the Robot from cult classic Forbidden Planet. But neither would generate such a long series of films, although RoboCop would have given it a run for its money if the studio hadn't gone bust. The film that settles the argument for me is the landmark Terminator 2: Judgment Day which would bring together Cameron's ideas and blend them with cutting-edge special effects, incredible action sequences, Arnie in equally good form as a goodie this time and probably one of my favourite villains in any film, the liquid-metal shape shifting T-1000. Incidentally, while the Terminator might not be the most iconic robot in cinema, he is certainly far more menacing than anything seen in Star Wars or Metropolis. Given its age, it is remarkable how well it holds up today compared to more iconic sci-fi films like "Logan's Run" or "Solent Green". The Terminator is the precursor of many, many, many sci-fi flicks. We got a glimpse in a 2000's earth at war with cyborgs with very few humans left, we had a hot cyborg, a hot and strong Linda Hamilton, some funny moments, many scary moments. The moment we realize she is conceiving the child that will be the leader of the humans, something happens. The love scene was very very hot too (was not allowed to see it!). Terminator 2 was impressive because of the Fx, especially the liquid shape shifting metal was mind blowing, we couldn't stop talking about it, and Schwarzenegger shifting side, that was a very good surprise! The film is a fantastic combination of action, tension and occasional horror and it is still worth watching today, I reckon. I realise that "The Terminator" is not a film to be discussing the intricacies of time travel and the resulting temporal paradoxes. 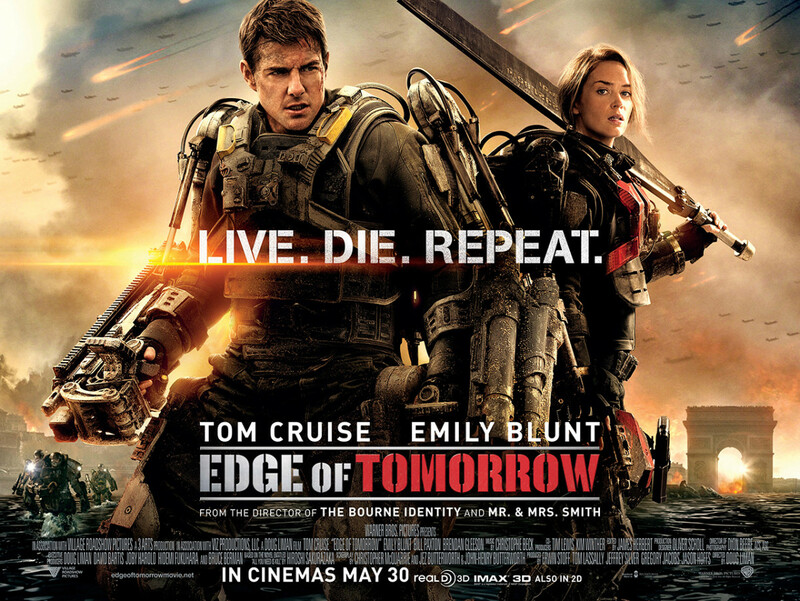 It's about a scared young woman running away from a cyborg assassin, no need to pretend it's any deeper than that. Thanks for the votes and hope you enjoy the rest of my work! Yes, we should watch this movie. 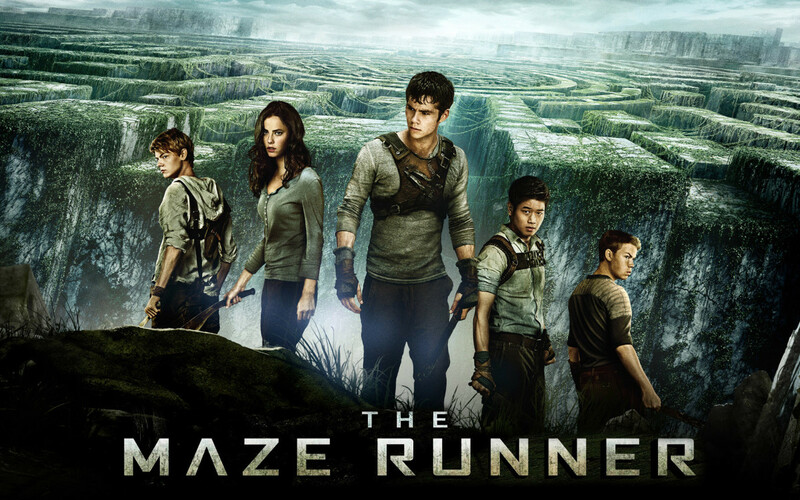 I like it very much on account of superb action, plot and characterization of the movie. The way the protagonist beats the antagonist to save the world from the ultimate catastrophe. Interesting approach. I'm a huge fan of the film. It's probably my favorite from the series. As for the "plot hole" you mentioned, I disagree. Every time-travel film is bound to draw some criticism about the logistics of time-travel, but the thing is that it's fiction and nobody knows how it would work, if it ever did. So I don't see a need to try to apply real-world logic to what happens in the film. The paradox of it all is what makes it more fun for me.